Eastleigh assistant manager Chris Todd says his squad has enough match-winners to overcome their injury crisis. The Spitfires are sixth in the National League, grabbing a late equaliser for a 1-1 draw at Altrincham in midweek. Goalkeepers Ross Flitney and Michael Poke are long-term absentees, Paul Reid has a leg infection and Ben Strevens is suspended against Chester on Saturday. "Even with injuries and illnesses, we have players who can pull something out of the bag," Todd told BBC Solent. 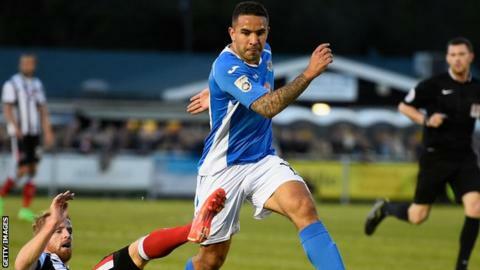 Despite their struggles with availability, Todd admitted Eastleigh are unlikely to dip into the loan market in a bid to bolster the squad. "You are always looking to try and better the squad," he added. "It's OK bringing in youngsters but they have to be better than what we have got. "We are always looking but it's something we are not going to pursue at the moment."